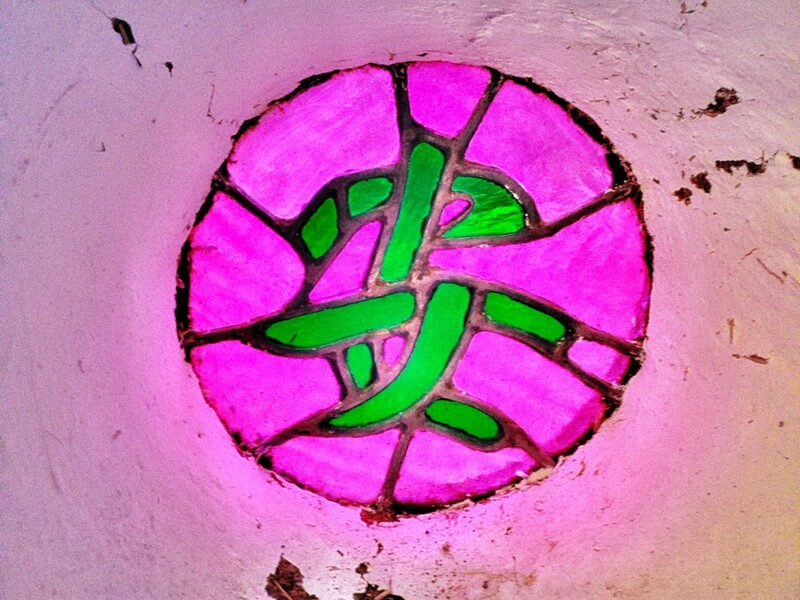 Stained glass by my father, who was born Shanghai, China in July 1926. The symbol ‘An’ translates to tranquility or peace, a character composed of the symbols for one woman under a roof. My grandfather, then president of the Shanghai American School, had received a Chinese transliteration of our family name as ‘An-di-Fan’ meaning House of Peace. The stained glass is embedded in the Kiva cob wall above the altar and my grandmother’s Buddha.